Sudan is classified as a least-developed and low-income, food-deficit country, with 15 million poor people and more than 4 million facing crisis levels of food insecurity. As of 2013, Sudan’s global acute malnutrition rate is 16.3 percent; chronic malnutrition rates among children remains a public health issue. Since the 2011 South Sudan secession, Sudan has been unable to fully recover after losing substantial oil output and fiscal revenue. At present Sudan’s GDP growth rate stands at just 3.1 percent, according to the World Bank. The country has witnessed renewed fighting between Sudanese Armed Forces and opposition forces—through decisive summer campaigns since 2014—in the Darfur, South Kordofan and Blue Nile states, as well as an escalation in intertribal fighting and crime, marring security and humanitarian conditions. WFP has been present in Sudan since 1963. The UN agency aims to reduce hunger and malnutrition as well as enhance communities’ resilience to shocks across the country. To address protracted and emerging humanitarian needs and short-term hunger, WFP will reinforce its emergency response capacities while staying focused on its longer-term vision to incrementally reduce food aid dependency. In July 2015, WFP launched a two-year Protracted Relief and Recovery Operation in Sudan, aiming to reach 5.2 million people, of which 69 percent are in Darfur; WFP intends to reach 3.8 million in 2016. Following longstanding efforts to bring improved food security to vulnerable communities in Sudan facing complex emergencies, the operation supports a gradual shift from relief operations to recovery and resilience activities. This operation maintains a robust relief component for displaced populations facing food insecurity and malnutrition, complemented by an early recovery component. For new and longstanding internally displaced people, WFP implements general food distributions using in-kind food and e-cards; food assistance for assets or food assistance for training activities using in-kind assistance; moderate acute malnutrition treatment and prevention programs for malnourished children and pregnant and nursing women; and school meals for school-aged children in food-insecure areas, as well as take-home rations for girls. WFP mainstreams gender into existing activities by targeting a higher proportion of women as food recipients and integrating women into community food management and voucher committees. 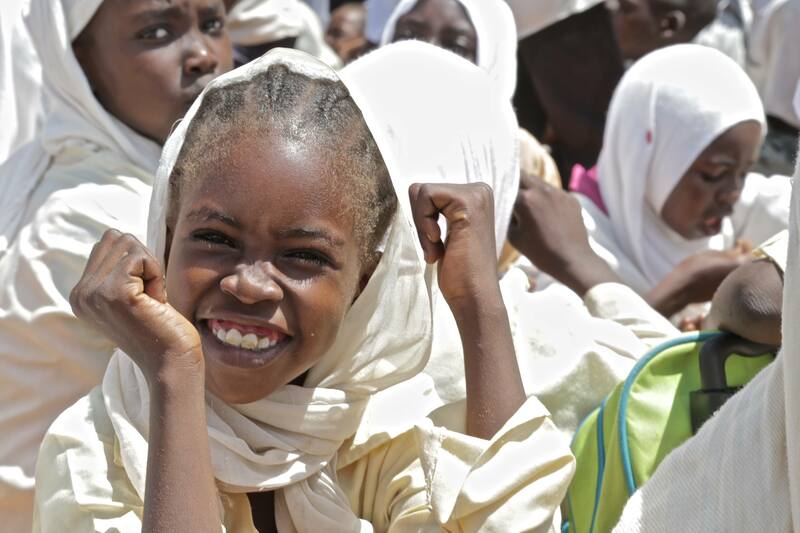 Additional activities implemented through trust funds include the Safe Access to Fuel and Energy Initiative in Darfur, the Joint Resilience Programme with FAO and UNICEF in Kassala and the micronutrient powder home fortification and stunting reduction pilot in the Red Sea and northern Darfur states. The UN agency has begun implementing changes based on vulnerability analyses in 29 camps, covering 745,000 internally displaced people. This has led to phasing 191,600 internally displaced people out of assistance and shifting 106,700 to seasonal support and livelihood activities. The UN Humanitarian Air Service—managed by WFP—provides air transport to more than 100 humanitarian organizations flying to 40 destinations across Sudan.